Start your day with an uplifting boost. 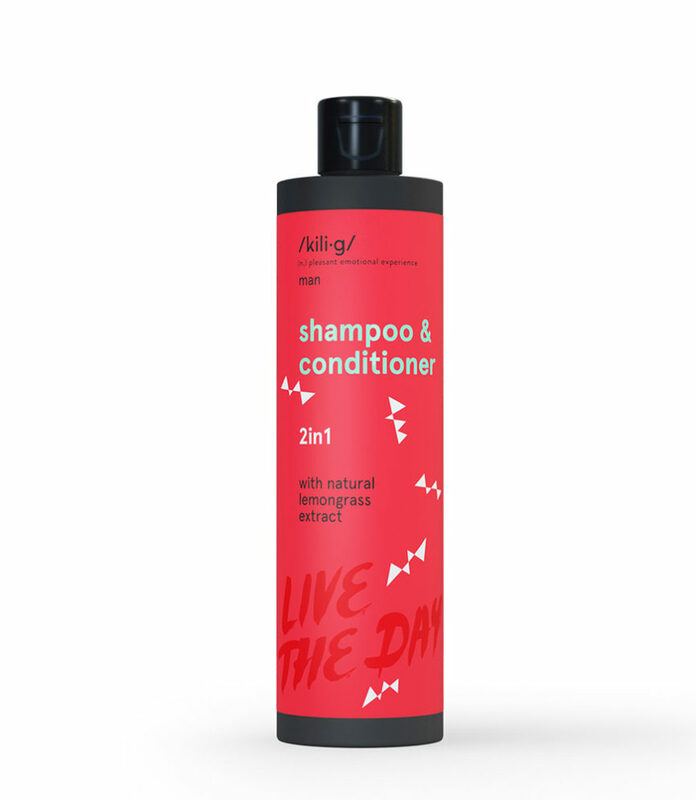 This /kili•g/ man 2-in-1 shampoo and conditioner cleans and moisturizes the hair while making it full, soft, and shiny. Lemongrass essential oil stimulates the scalp and gives you new ideas. For daily use. Dermatologist tested. Lemongrass extract is characterised by moisturising properties.